Luxury watch and jewellery retailer Banks Lyon are set to reveal their newly refurbished store for their 30th anniversary celebrations. 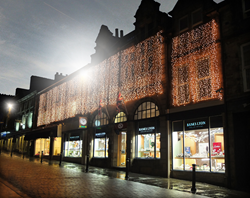 Lancaster-based jeweller and luxury watch retailer, Banks Lyon, are to celebrate their 30th anniversary with the unveiling of their newly refurbished store. 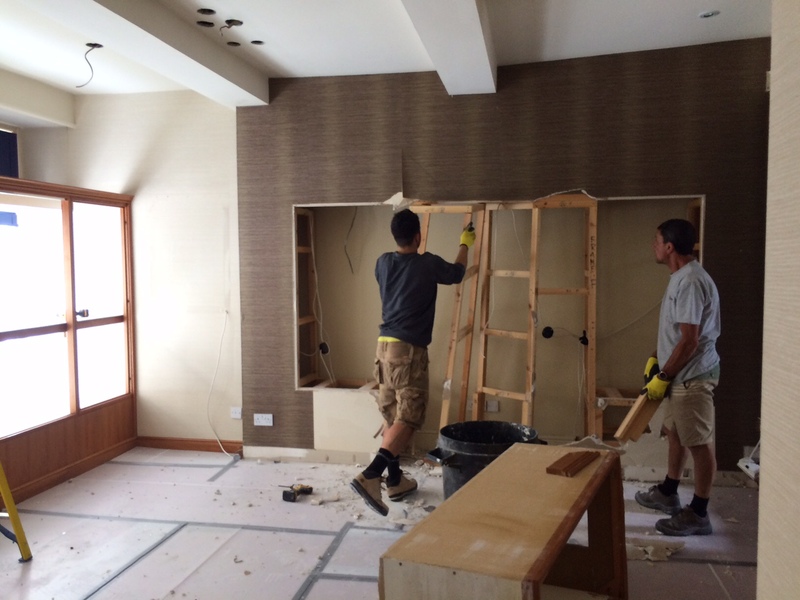 Over a year in the planning, this refurbishment includes both cosmetic and practical improvements to create an exceptionally attractive atmosphere and provide a smoother and more personalised approach to customer service. This is a significant revamp for the Church Street store, with a number of structural changes involved to improve both the interior and the store front. Larger and clearer windows will flank the new entrance; the existing bay windows being opened up into a single pane display, with the elegant scroll-worked sills dropped to provide more window estate whilst retaining these traditional features. The entrance itself takes on a modern, curved shape which is designed to help draw the customer into the shop. Inside, a luxurious modern boutique atmosphere with traditional touches of elegance reflects the quality and personal approach of Banks Lyon; raised ceilings with a crystal chandelier and new white lighting offer a new feeling of space and light. Throughout the store, new seating areas allow customers to enjoy a more relaxed shopping experience, with iPad connectivity allowing the entire transaction to be conducted from anywhere in the store. New air conditioning systems, backed by extensive research into the optimal atmosphere for the shopping experience, help to ensure that the shop is comfortable and welcoming throughout the year. Cosmetically, the new look features bright, clean lines with feature wallpaper that can easily be changed for brand events, special occasions and much more, alongside new individual display pods, grouping products in a cleaner, minimal and more impactful style to create a less overwhelming and more accessible visual effect. In the central part of the shop, newly branded areas highlight four of the main luxury brands stocked by Banks Lyon, with a central display of diamond jewellery. Nor is the refurbishment restricted to the public areas; behind the scenes a variety of improvements have been planned to optimise office areas and make the entire operation much slicker. These improvements will also be seen online, with a new studio created especially for recording General Manager Bob Breden’s popular video blogs. Fittingly, the modern gift for the 30th anniversary is the diamond, and these improvements, particularly with regard to the lighting, will enable customers to better appreciate the exquisite range of diamond jewellery available from Banks Lyon. The traditional anniversary gift, the pearl, is also represented. Beyond the bright, modern atmosphere of the main store, one room has been set aside to create a charming, traditional area with the ambience of a gentleman’s club. With wood panelling, Chesterfield sofas and a bar stocked with locally produced beer, gin and vodka, this area can be set aside for private events and appointments or kept open for customers to enjoy. The centrepiece feature, a reflection of both the thirtieth anniversary gift and the individual nature of this family business, is a stunning replica of the Black Pearl, the fictional ship seen in Disney’s Pirates of the Caribbean films. The Banks Lyon store will be closed between the 21st September and the 4th October to complete the refurbishment; during this time the online shop will remain available. Banks Lyon Jewellers have been providing their customers with an unrivalled array of affordable and luxury watches and jewellery for 30 years. Since 1985, this family run business has combined exceptionally high quality products with outstanding standards of customer service, consistently delivering expert advice and friendly service to each and every customer. As an official and authorised stockist for a comprehensive range of luxury watch and jewellery brands, including Cartier, Omega, Breitling, Chopard, TAG Heuer, Georg Jensen, Fope and Al Coro, Banks Lyon Jewellers are a unique presence in the North West. Bringing this wide and exclusive portfolio of brands together in one location makes them truly the leading independent retailer of the region. For more information about Banks Lyon, their refurbishment and their anniversary celebrations, visit their website at http://www.bankslyon.co.uk or call 01524 38 48 58 for more details.